If Ben Affleck and director Gavin O'Connor are becoming a package deal then that's good for everybody. The duo scored an unexpected hit with The Accountant, and now they're looking to team together again for The Has-Been. The film has a script by Brad Inglesby, best known for writing the disappointing Out of the Furnace. To be honest, The Has-Been sounds pretty cheesy. It follows a former basketball star whose addiction costs him everything, including his family. He attempts to start over by agreeing to coach an ethnically-mixed basketball team at his high school alma mater. It's like Dangerous Minds meets Hardball or something. 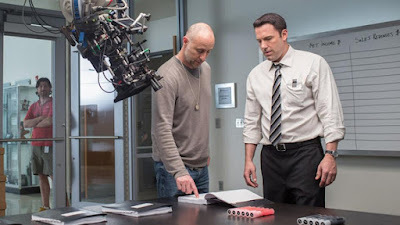 Affleck would star in the film and produce, with O'Connor behind the camera.